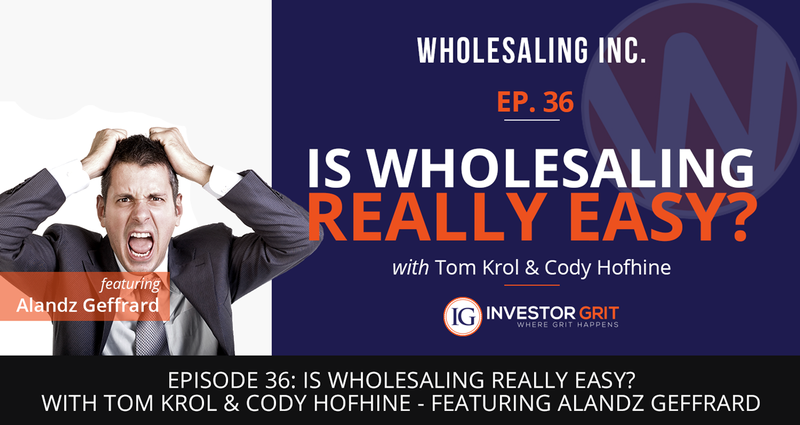 Episode 36: Is Wholesaling Real Estate Easy? Is Wholesaling Real Estate Easy? Many people say Wholesaling Real Estate is easy, but is it as easy as they say it is? In this episode, Cody speaks with Alandz Geffrard from West Palm Beach, Florida. He joined the tribe only a few months ago and just closed a deal that took him less than two hours, start to finish! Don’t miss this episode where you will learn about the art of cold-calling, unique strategies for building your buyer’s list, and Alandz’ “Secret Weapon” that keeps him strong in this business (it’s probably not what you think).